Here are 2 paintings in progress. That means they aren't finished. I have more to do. The first painting is political satire and I am calling it Washington, D.C. - Its All Politics. 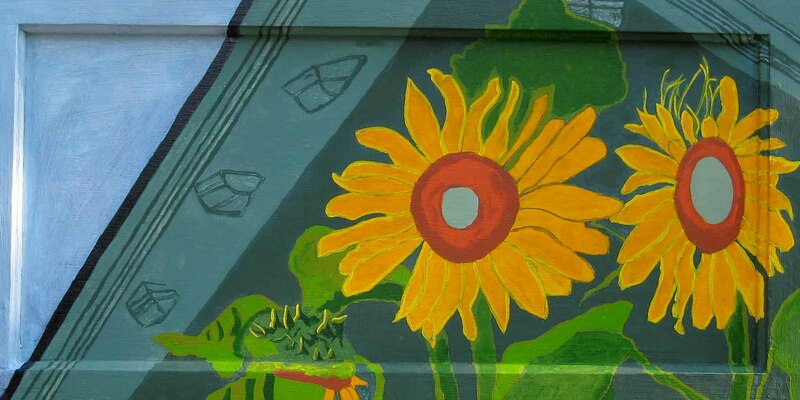 The second painting is of sunflowers from the side of my house, with a piece of the house in the background. Both of these paintings are on half inch MDO plywood that I cut on my table saw. Then I nailed them into the window frame and gave them a coat or two of gesso front and back. I like to recycle old windows and use the wood frames for my paintings.